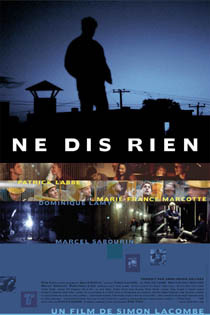 Michel works in a blue-collar job for the city of Montreal. His work partner, Tuyau, is an aging, down-to-earth hippie with a repertoire of stories. Suffering from a failed love affair, Michel wanders through the city at night, "borrowing" cars he finds along the way. Michel is searching for a new roommate, and asks the super, Martine, to show his apartment to prospective tenants. He installs a camera in the apartment and records the messages the visitors leave for him. One day, a mysterious Lisa leaves a message without showing her face. Michel eventually finds Lisa, who soon moves in with him. Both Michel and Lisa try, without success, to rid themselves of painful memories. Can they emerge from their respective solitude and learn to love again?